A beautiful tropical bouquet in an Eco friendly pot made from recycled materials....safe for our beautiful Florida environment. 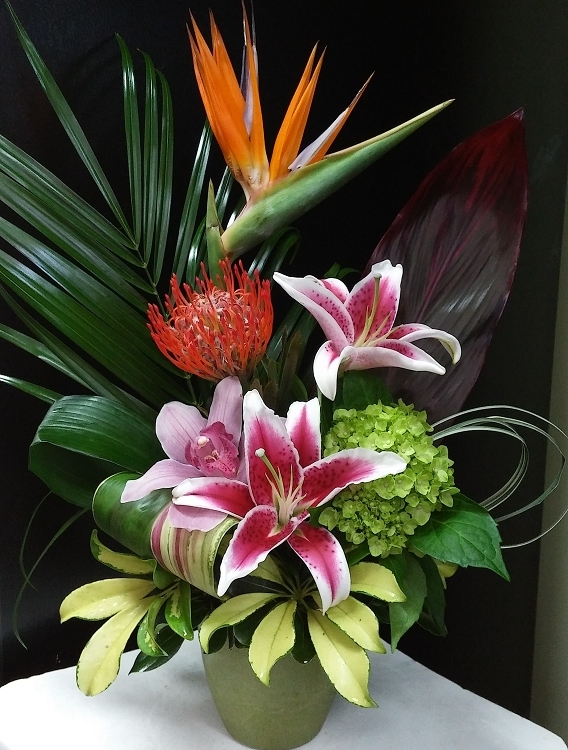 This bouquet bursts with a cymbidium orchid, Stargazer lily, protea, hydrangea, and a soaring bird of paradise! All complimented by lush Florida foliage from our great state!